A799 is the latest printer innovation from CognitiveTPG and its champion of the single station thermal receipt printer line. A799 is packed full of features and unique selling points that are unmatched in the market, A799 was designed with the reseller/distributor and end user in mind. This modular designed printer allows for easy configuration and faster delivery times. It also leads the market in terms of print speeds (250 mm/sec), reliability, and warranty guarantee. All A799 printers ship with CognitiveTPG's Receiptware marketing software further expanding the versatility of this printer. 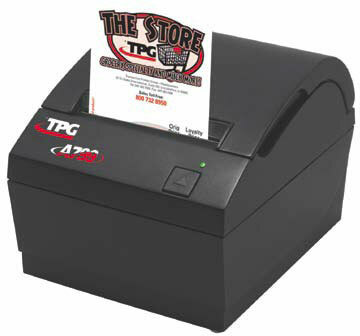 Effective February 1, 2011 all A799 receipt printers come with a new 4-year standard warranty, memory upgrade (4MB), and a lower price point. The CognitiveTPG A799-720W-TN00 is also known as Cognitive-TPG	TPG-A799720WTN00	or A799720WTN00	.